THE MAYBELLINE STORY : Bill Williams 1963 Lincoln Continental during the Rat Pack years. Bill Williams 1963 Lincoln Continental during the Rat Pack years. Tom Lyle Williams nephew, Bill Williams, added a 1963 Lincoln Continental, to his collection in 1979. This picture of my father, Bill Williams was taken at Casa de Guillermo, on his 66th Birthday. He loved Frank Sinatra and carried the spirit, of The Rat Pack. He once told me a story, about the time, he ran into Sinatra at the Palms Springs airport in the 1982. Sinatra had just gotten off his private jet and was obviously celebrating something special. My father just happened to have several cases of champagne in the trunk of his 1961 Limo and a few bottles on ice. He walked up to Sinatra and asked if he'd like to pop a bottle of Champagne - and wound up giving him a case. But not before having a toast and few riveting laughs with his all time idol. my father calling me one day, so excited, he could hardly talk. I had to keep saying, "slow down I can't understand you." He'd just purchased this Lincoln, for $5,000, in mint condition, and kept repeating, "it's the same car Kennedy drove in before he was killed - it's such a beauty I had to have it." 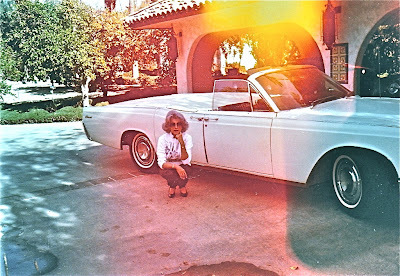 He loved to drive the Lincoln, down Palm Canyon with the top down and Frank Sinatra blasting from the stereo, even into his 80's. Sadly, the car was sold at the estate sale for $10,000 cash, when the Casa was sold in 2004. 1963 Lincoln Continental - Pres. Kennedy rode in Fort Worth. This is a news clip about a 1963 Lincoln Continenta​l President Kennedy rode in on the morning of November 22, 1963 - previous to taking off from Dallas to Fort Worth. 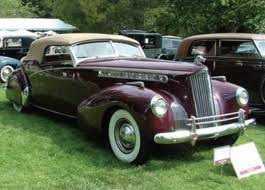 Needless to say, beautiful classic cars, were a big part of my father's life and that's why I'm so excited to have found his uncle, Tom Lyle Williams 1940 Packard Victoria. 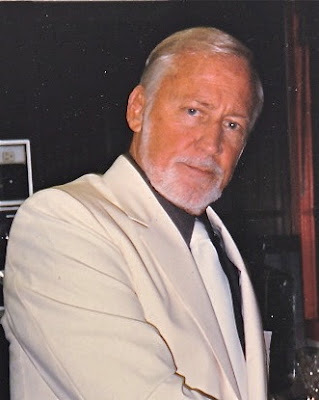 My father was a teenager, when he and his uncle, drove down Sunset Blvd, on their way to sign contracts, with Movie Stars, who would appear in Maybelline ads, in the 1930's and 40's. Chuck working on his Cobra. 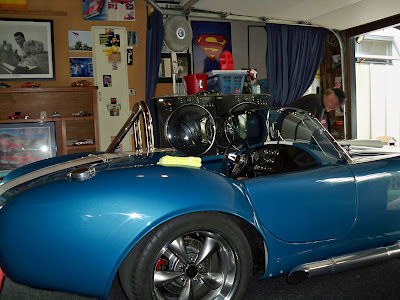 ﻿ My cousin Chuck Williams, aka, BB1, carries the torch, for being the family car collector today. We'll be working with Steve Snyder of VAULTCARS, (son of Bill Snyder, the Packard Victoria's owner,) making a mini-documentary of the Packard's history and restoration. So stay tuned this March for more details.